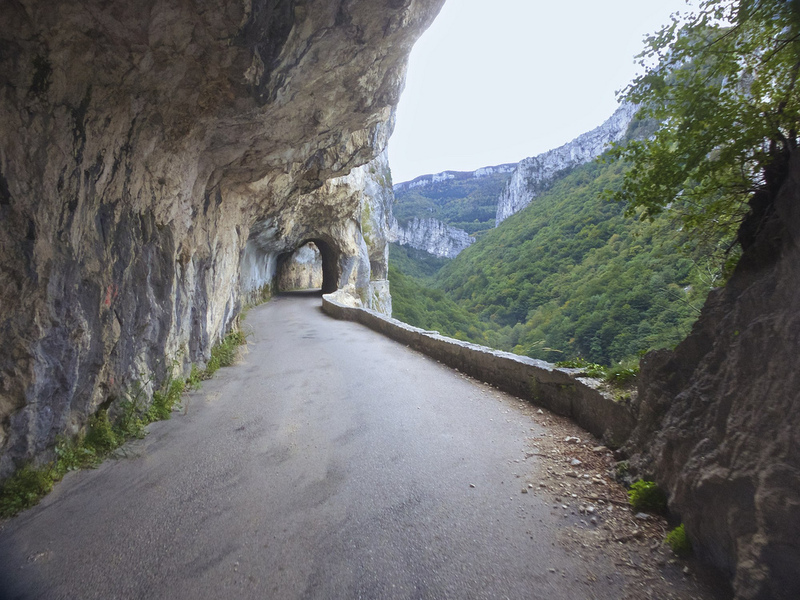 Just south-west of Grenoble, the Vercors massif must be one of the most interesting places to cycle in France. And Col du Mont Noir is one of the biggest top to bottom climbs in the area. There are at least 5 possible road bike routes up, but via Les Gorges du Nan might be the most fun. Leaving the village of Cognin-les-Gorges, the climb starts immediately on a small quiet road. It’s a consistent 7.5% climb give or take with few steeper stretches until much higher. The highlight of the entire route comes early on. Perhaps after 3 kms, the route is essentially cut into the face of a cliff. 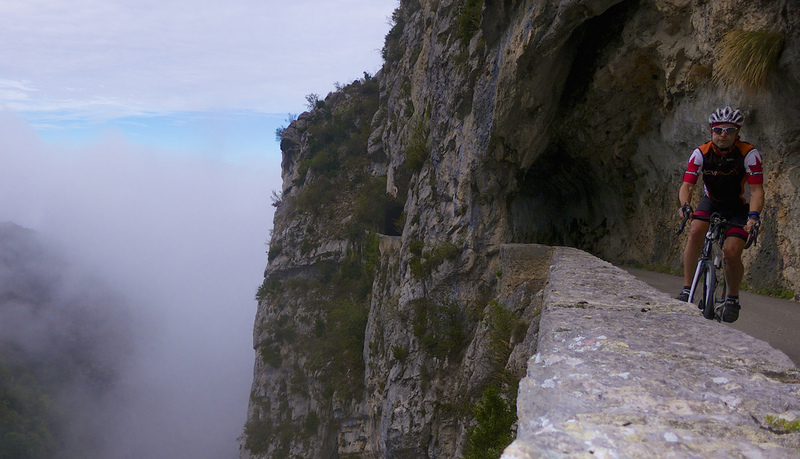 For another route up to Col du Mont Noir via La Gorge des Ecouges see here. As the road leaves the town of Malleval and its French Resistance Monument, it becomes difficult to see how the hair-pinned route will get past the huge cliff face in front …. but it finds a way via Pas de Pré Coquet (Pas is an old French word for Pass). Mont Noir was named after a fire designed to cull a local wolf population got out of hand. I descended via La Faz. It’s unsurprisingly a lovely and fun route with plenty of hairpins — And this loop could be done in either direction. But I’d suggest clockwise as I rode as the better choice. 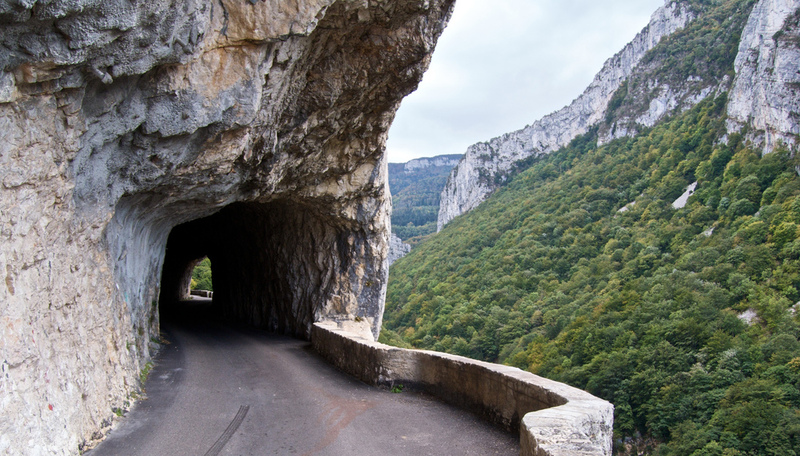 There are plenty of other great gorge and cliff roads in the Vercors. For more routes see here. Wow, elle est très impressionant! hi Will – great pictures. I know the place quite well… my parents and family in law live very close. 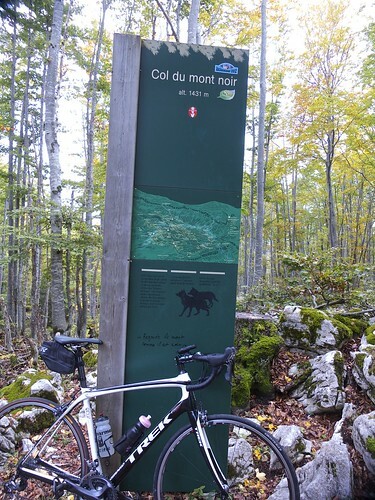 Agreed, I love cycling in the Vercors – very beautiful. Need to do so more often.